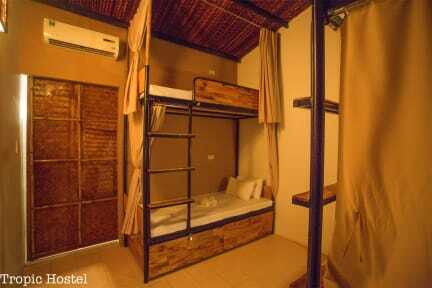 Tropic Hostel is a european owned hostel, newly established ready for this years' high season. Opening at the end of November, we are located bang in the heart of Mui Ne, where South East Asia's word-famous kitesurfing scene is on your doorstep. The spectacular beaches within walking distance of Tropic Hostel make a perfect spot for water-sports or merely kicking back and relaxing during the sunset at one of the beach bars. Here at Tropic Hostel we will have a daily barbecue amongst a menu of delicious food, and some bar/chill-out areas. 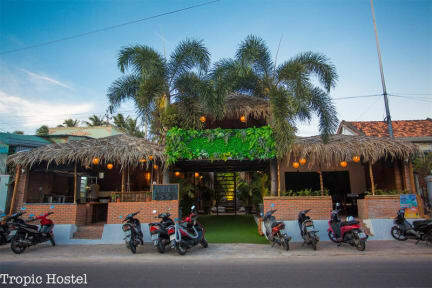 A 200 metre walk also takes you right into the middle of Mui Ne's bar scene, with plenty of restaurants and food markets along the way. We offer private rooms alongside dorms, all fully equipped with A/C, WIFI and a private bathroom.